“Ballet, like other pursuits that require immense determination and reward showmanship, seems to foster hubris. But maybe all art fosters hubris,” p. 212. 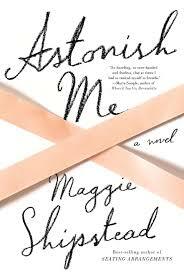 ‘Astonish Me’ is a novel about the mysterious world of professional ballet. Dancers seem to punish their bodies and their souls. Ever hungry and hungry for perfection, they work till the blood soaks through their slippers and their relationships crumble around their feet. Perfection is only barely good enough. “You can’t be weak in the ballet or it will crush you,” p. 129. All this sacrifice and discipline and determination is to be one of the few who can make it to the top. These are the ones who excel at this demanding dance and create such beauty on stage. This is the first novel I have read by Maggie Shipstead and I must say I enjoyed her writing. This work of fiction follows two generations of professional ballet dancers. The world she creates seems to be divided into dancers and non-dancers. There’s not a lot of plot in the book but the story never lagged. It was a powerful insight into a world I was unfamiliar with. Some reviewers appreciated the subject of this novel, but preferred her other novel Seating Arrangements. This entry was posted in Fiction and tagged Astonish Me, ballet, Maggie Shipstead. Bookmark the permalink. 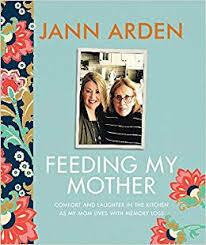 I liked this book, but I liked the characters and humor in SEATING ARRANGEMENTS more. Thanks for confirming my suspicions. I will definitely read Seating Arrangements as well!